This is a real time distribution diagram ppt sample. This is a four stage process. The stages in this process are archive, publish, stream, network, real time distribution, configuration. Expose your team to a brave new world. 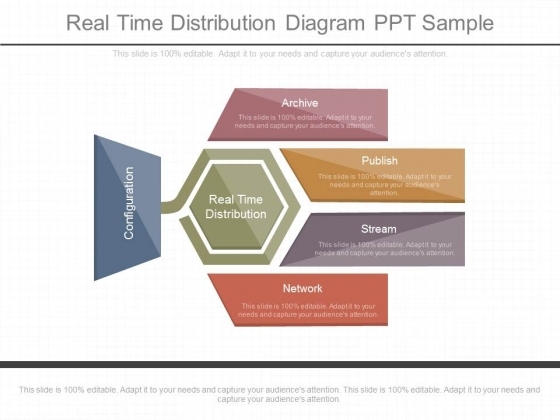 Challenge preset boundaries with our Real Time Distribution Diagram Ppt Sample. The above template displays a diagram of arrow around circle. 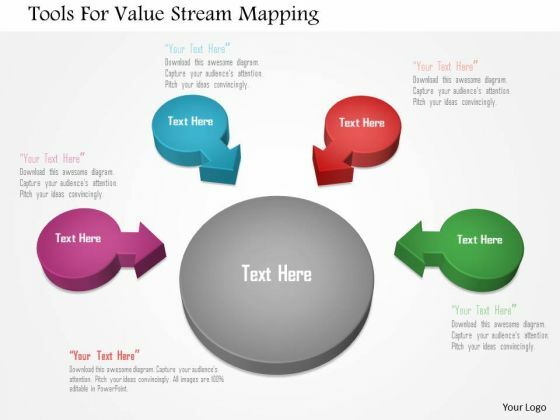 This diagram has been professionally designed to emphasize on concept of value stream mapping. Grab centre stage with this slide. Capture the attention of your audience. We present our PPT Background 3d illustration of 5 phase diagram partnership transaction 6 Image. 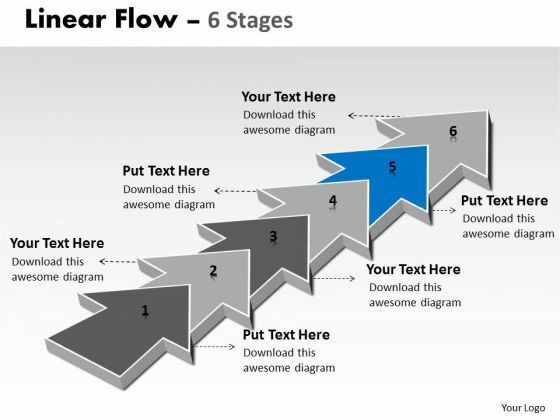 Use our Arrows PowerPoint Templates because, It is a step by step process with levels rising at every stage. Use our Circle Charts PowerPoint Templates because, You have it all down to a T. Use our Shapes PowerPoint Templates because, Illustrate your ideas and imprint them in the minds of your team with this template. Use our Business PowerPoint Templates because; Break it all down to Key Result Areas. Use our Process and Flows PowerPoint Templates because, they are indicators of the path you have in mind. Use these PowerPoint slides for presentations relating to background, blog, business, chain, communication, connection, constructive, contact, design, diagonal, dialog, digital, flow, global, interaction, internet, line, linear, network, partner, pointer, reaction, social, stream, structure, system, team,. The prominent colors used in the PowerPoint template are Pink, Gray, and Black Our Ppt Background 3d Illustration Of 5 Phase Diagram Partnership Transaction 6 Image are fairly far sighted. They help you see clearly into the distance. Hammer out any doubts with our Ppt Background 3d Illustration Of 5 Phase Diagram Partnership Transaction 6 Image. Try us out and see what a difference our templates make. We present our PPT Background 3d illustration of 8 steps marketing plan project management PowerPoint 1 Image. Use our Arrows PowerPoint Templates because, anticipate the doubts and questions in the minds of your colleagues and enlighten them with your inspired strategy to garner desired success. Use our Communication PowerPoint Templates because, you have what it takes to grow. Use our Business PowerPoint Templates because, Our Template designs are State of the Art. Use our Shapes PowerPoint Templates because, Spread the light of knowledge around you, clear the doubts and enlighten the questioning minds with your brilliance and ability. 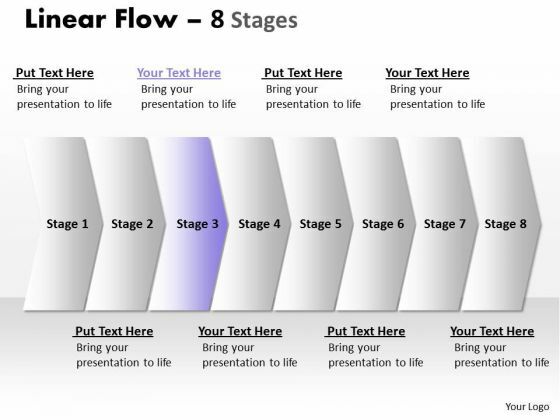 Use our Process and Flows PowerPoint Templates because, Many a core idea has various enveloping layers. Use these PowerPoint slides for presentations relating to background, blog, business, chain, communication, connection, constructive, contact, design, diagonal, dialog, digital, flow, global, interaction, internet, line, linear, network, partner, pointer, reaction, social, stream, structure, system, team,. 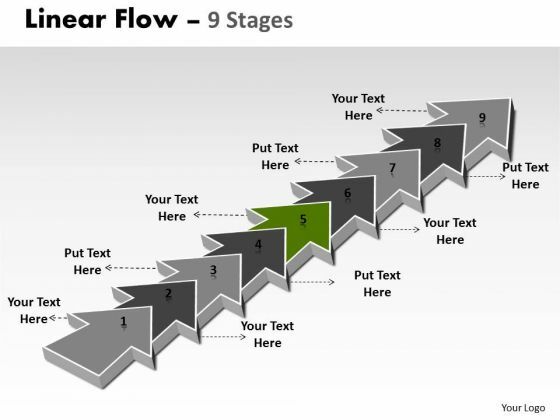 The prominent colors used in the PowerPoint template are Green, Green dark, Black With our Ppt Background 3d Illustration Of 8 Steps Marketing Plan Project Management PowerPoint 1 Image there is no need to exaggerate. They are always brief and accurate. Excite your audience with our Ppt Background 3d Illustration Of 8 Steps Marketing Plan Project Management PowerPoint 1 Image. You will come out on top. We present our PPT Background 3d illustration of 8 steps working with slide numbers marketing plan 4 Graphic. Use our Arrows PowerPoint Templates because; Refine them all as you take them through the numerous filtering stages of the funnel of your quality control process. Use our Communication PowerPoint Templates because; Help them align their arrows to consistently be accurate. Use our Business PowerPoint Templates because, Cycle Template:- Rolling along while gathering profits along the way is the aim. Use our Shapes PowerPoint Templates because, Many a core idea has various enveloping layers. 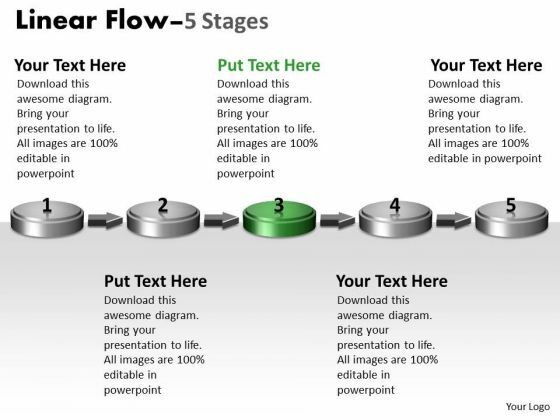 Use our Process and Flows PowerPoint Templates because; educate your team and the attention you have paid. Use these PowerPoint slides for presentations relating to background, blog, business, chain, communication, connection, constructive, contact, design, diagonal, dialog, digital, flow, global, interaction, internet, line, linear, network, partner, pointer, reaction, social, stream, structure, system, team,. The prominent colors used in the PowerPoint template are Green, Gray, and Black Attract your colleagues with your ideas. Capture their attention with our eye-catching Ppt Background 3d Illustration Of 8 Steps Working With Slide Numbers Marketing Plan 4 Graphic. Enhance your chances of asset creation. 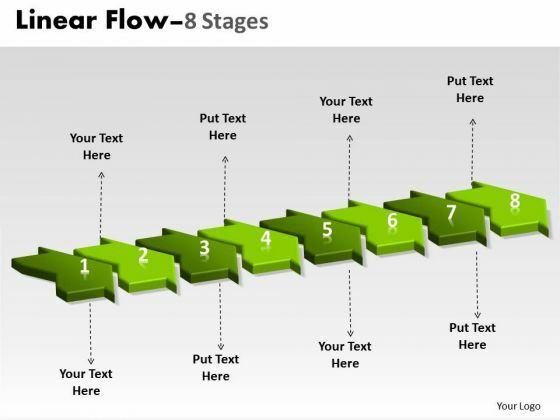 Diversify your base with our Ppt Background 3d Illustration Of 8 Steps Working With Slide Numbers Marketing Plan 4 Graphic. 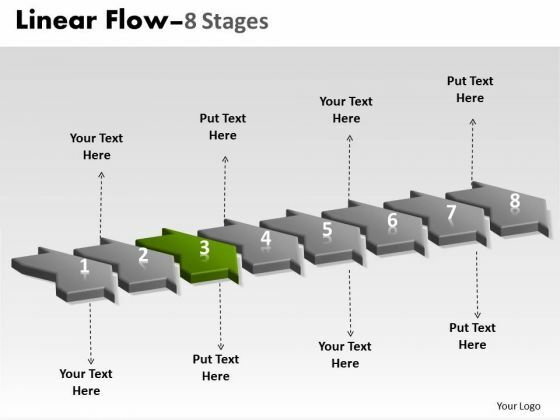 We present our PPT Background 3d illustration of 8 steps working with slide numbers marketing plan Graphic. 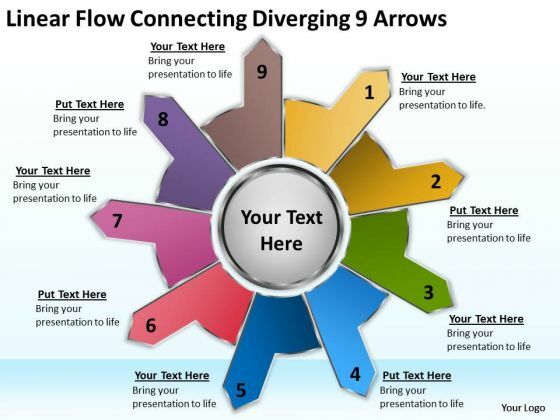 Use our Arrows PowerPoint Templates because; Take it up to a higher level with your thoughts. Use our Communication PowerPoint Templates because, Highlight your ideas broad- based on strong fundamentals and illustrate how they step by step achieve the set growth factor. Use our Business PowerPoint Templates because; Refine them all as you take them through the numerous filtering stages of the funnel of your quality control process. Use our Shapes PowerPoint Templates because, you know your business and have a vision for it. Use our Process and Flows PowerPoint Templates because, Probe the minds of your colleagues, see their faces light up as they assimilate and understand the value of your suggestions. Use these PowerPoint slides for presentations relating to background, blog, business, chain, communication, connection, constructive, contact, design, diagonal, dialog, digital, flow, global, interaction, internet, line, linear, network, partner, pointer, reaction, social, stream, structure, system, team,. The prominent colors used in the PowerPoint template are Green, Gray, and Black Our designs are professional and creative. Take on the competition with our Ppt Background 3d Illustration Of 8 Steps Working With Slide Numbers Marketing Plan Graphic. You'll always stay ahead of the game. 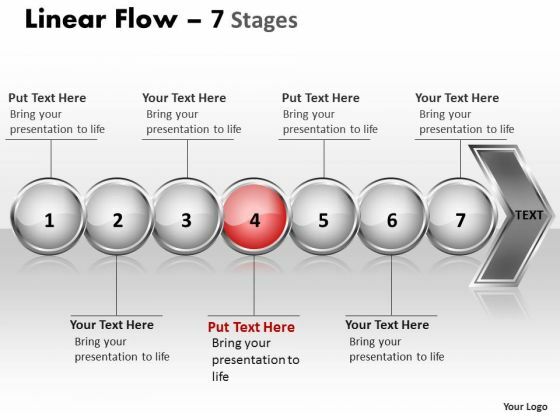 No end is too far for our Ppt Background 3d Illustration Of 8 Steps Working With Slide Numbers Marketing Plan Graphic. They ensure your thoughts always arrive. We present our PPT Background 3d illustration of corporate procedure strategy PowerPoint 7 Image. Use our Arrows PowerPoint Templates because; explain the contribution of each of the elements and how they provide impetus to the next phase. Use our Communication PowerPoint Templates because; In any endeavor people matter most. Use our Business PowerPoint Templates because, to strive to give true form to your great dream. Use our Shapes PowerPoint Templates because, Bullet-point your thoughts and ideas to profitably accomplish every step of every stage along the way. Use our Process and Flows PowerPoint Templates because, are the tools that helped most of us evolve. Use these PowerPoint slides for presentations relating to background, blog, business, chain, communication, connection, constructive, contact, design, diagonal, dialog, digital, flow, global, interaction, internet, line, linear, network, partner, pointer, reaction, social, stream, structure, system, team,. The prominent colors used in the PowerPoint template are Pink, Gray, and Black Experience craftsmanship with our Ppt Background 3d Illustration Of Corporate Procedure Strategy PowerPoint 7 Image. They are designed by excellent artisans. Curb assumptions with our Ppt Background 3d Illustration Of Corporate Procedure Strategy PowerPoint 7 Image. Face up to them with the facts. We present our PPT Background 3d illustration of e partnership representation resources procedure 4 Image. Use our Arrows PowerPoint Templates because; Help your viewers automatically empathize with your thoughts. Use our Communication PowerPoint Templates because, the basic stages are in place, you need to build upon them with our PowerPoint templates. Use our Business PowerPoint Templates because, Marketing Strategy Business Template:- Maximizing sales of your product is the intended destination. Use our Shapes PowerPoint Templates because, the vision of being the market leader is clear to you. Use our Process and Flows PowerPoint Templates because, you have a great plan to put the pieces together, getting all the various contributors to gel for a successful completion. Use these PowerPoint slides for presentations relating to background, blog, business, chain, communication, connection, constructive, contact, design, diagonal, dialog, digital, flow, global, interaction, internet, line, linear, network, partner, pointer, reaction, social, stream, structure, system, team,. The prominent colors used in the PowerPoint template are Green, Gray, and Black Change is a constant in corporate life. Detect the correct co-efficient with our Ppt Background 3d Illustration Of E Partnership Representation Resources Procedure 4 Image. Build their faith in their ability. Beef up their confidence with our Ppt Background 3d Illustration Of E Partnership Representation Resources Procedure 4 Image. We present our PPT Background 3d illustration of marketing planning 6 power point stage 2 Image. Use our Arrows PowerPoint Templates because; illustrate how each element flows seamlessly onto the next stage. Use our Communication PowerPoint Templates because, to go for Gold and not just silver. Use our Business PowerPoint Templates because, to take your team soaring to the pinnacle they crave. Use our Shapes PowerPoint Templates because, designed to help bullet-point your views and thoughts. Use our Process and Flows PowerPoint Templates because, Activities which in themselves have many inherent business opportunities. Use these PowerPoint slides for presentations relating to background, blog, business, chain, communication, connection, constructive, contact, design, diagonal, dialog, digital, flow, global, interaction, internet, line, linear, network, partner, pointer, reaction, social, stream, structure, system, team,. The prominent colors used in the PowerPoint template are Yellow, Gray, and Black Experience exponential.growth with our Ppt Background 3d Illustration Of Marketing Planning 6 Power Point Stage 2 Image. Your earnings will acquire a big boost. Make instructive presentations with our Ppt Background 3d Illustration Of Marketing Planning 6 Power Point Stage 2 Image. Dont waste time struggling with PowerPoint. Let us do it for you. We present our PPT Background 3d illustration of marketing planning Business PowerPoint 5 Image. Use our Arrows PowerPoint Templates because; Break it all down to Key Result Areas. Use our Communication PowerPoint Templates because, Business Process Design:- The template offers an excellent background to build up the various stages of your business process. Use our Business PowerPoint Templates because, Explain to your group how they mesh together to drive the whole. Use our Shapes PowerPoint Templates because, Spread the light of knowledge around you, clear the doubts and enlighten the questioning minds with your brilliance and ability. Use our Process and Flows PowerPoint Templates because, Business Process Design:- The template offers an excellent background to build up the various stages of your business process. Use these PowerPoint slides for presentations relating to background, blog, business, chain, communication, connection, constructive, contact, design, diagonal, dialog, digital, flow, global, interaction, internet, line, linear, network, partner, pointer, reaction, social, stream, structure, system, team,. The prominent colors used in the PowerPoint template are Blue, Gray, and Black Become an expert presenter with our Ppt Background 3d Illustration Of Marketing Planning Business PowerPoint 5 Image. Dont waste time struggling with PowerPoint. Let us do it for you. Expose your audience to high quality. Our Ppt Background 3d Illustration Of Marketing Planning Business PowerPoint 5 Image are a befitting example. We present our PPT Background 3d illustration of marketing planning sales strategy PowerPoint 2 design. Use our Arrows PowerPoint Templates because; Highlight the various ways in which we can maintain its efficiency. Use our Communication PowerPoint Templates because, unravel the process layer by layer and expose their relevance to the core issue. 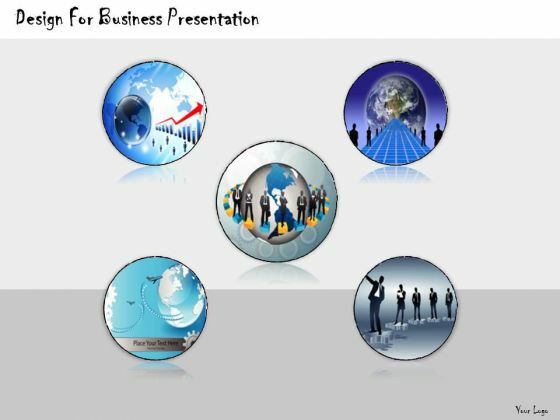 Use our Business PowerPoint Templates because; Present your views on the methods using our self-explanatory templates. Use our Shapes PowerPoint Templates because; Fill the hungry minds of your colleagues with the various goodies. 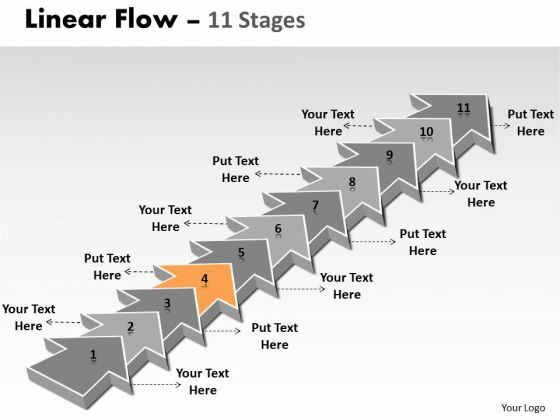 Use our Process and Flows PowerPoint Templates because, you know the path so show the way. Use these PowerPoint slides for presentations relating to background, blog, business, chain, communication, connection, constructive, contact, design, diagonal, dialog, digital, flow, global, interaction, internet, line, linear, network, partner, pointer, reaction, social, stream, structure, system, team,. The prominent colors used in the PowerPoint template are Yellow, Gray, and Black Our Ppt Background 3d Illustration Of Marketing Planning Sales Strategy PowerPoint 2 Design are great for busy people. They automatically highlight the sequence of events you desire. Make the boring bubbly with our Ppt Background 3d Illustration Of Marketing Planning Sales Strategy PowerPoint 2 Design. Your thoughts will get them all agog and buzzing. We present our PPT Background 3d illustration representation of free conception procedure 1 design. Use our Arrows PowerPoint Templates because, are the Tools of the Trade. Use our Communication PowerPoint Templates because; Break it all down to Key Result Areas. Use our Business PowerPoint Templates because, Clarity of thought has been the key to your growth. Use our Shapes PowerPoint Templates because; Use your findings to help arrive at an accurate diagnosis. 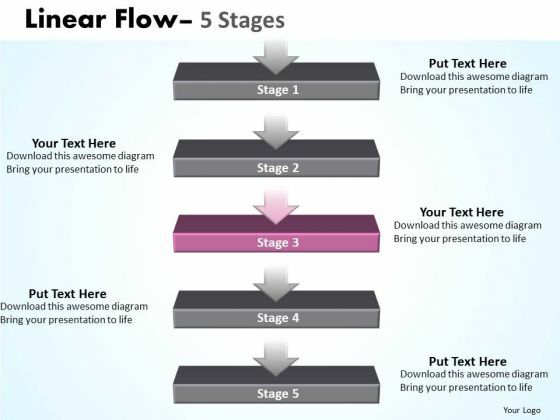 Use our Process and Flows PowerPoint Templates because; now funnel your marketing strategies down the cone, stage by stage, refining as you go along. Use these PowerPoint slides for presentations relating to background, blog, business, chain, communication, connection, constructive, contact, design, diagonal, dialog, digital, flow, global, interaction, internet, line, linear, network, partner, pointer, reaction, social, stream, structure, system, team,. The prominent colors used in the PowerPoint template are Green, Blue, and Pink Move away from amateur slides. Make them professional with our Ppt Background 3d Illustration Representation Of Free Conception Procedure 1 Design. You will be at the top of your game. Figureout answers with our Ppt Background 3d Illustration Representation Of Free Conception Procedure 1 Design. They assist in addressing any and all doubts. 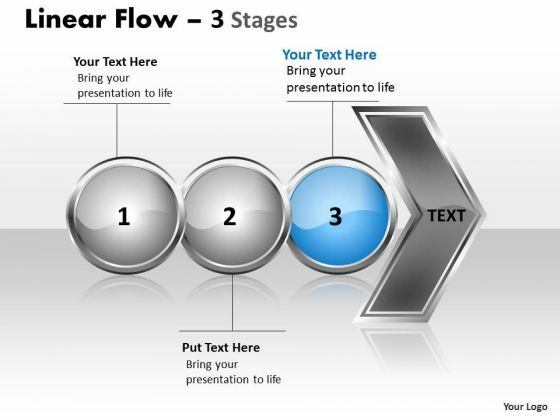 We present our PPT Background 3d non-linear PowerPoint flow five creates macro diagram 4 design. Use our Arrows PowerPoint Templates because, The basic stages are in place, you need to build upon them with our PowerPoint templates. Use our Circle Charts PowerPoint Templates because, Show how one can contribute to the overall feeling of wellbeing. Use our Shapes PowerPoint Templates because, Build on your foundation or prepare for change ahead to enhance the future. Use our Business PowerPoint Templates because, this template with an image of helps you chart the course of your presentation. Use our Process and Flows PowerPoint Templates because, Honesty is the best policy has an ardent follower in you. Use these PowerPoint slides for presentations relating to background, blog, business, chain, communication, connection, constructive, contact, design, diagonal, dialog, digital, flow, global, interaction, internet, line, linear, network, partner, pointer, reaction, social, stream, structure, system, team,. 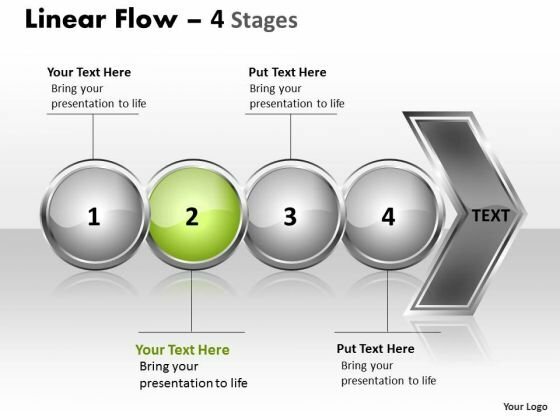 The prominent colors used in the PowerPoint template are Green, Gray, and Black Our Ppt Background 3d Non-linear PowerPoint Flow Five Create Macro Diagram 4 Design are more than just a facelift. They actually add to the depth of your views. Our Ppt Background 3d Non-linear PowerPoint Flow Five Create Macro Diagram 4 Design impress people. With our money back guarantee you have nothing to lose. 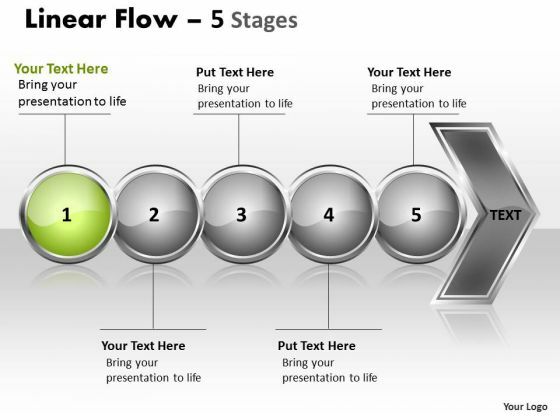 We present our PPT Background 3d non-linear PowerPoint flow five creates macro diagram 5 designs. Use our Arrows PowerPoint Templates because; Show them how you can save the day. Use our Circle Charts PowerPoint Templates because; Use our templates to emphasize your views. Use our Shapes PowerPoint Templates because; Use our appropriate templates to get them across to your target audience. Use our Business PowerPoint Templates because, the foundation stones of many a life. 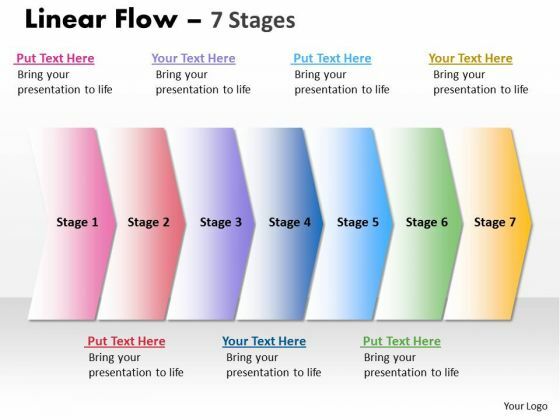 Use our Process and Flows PowerPoint Templates because, you have the process in your head, our template design showing will illuminate your thoughts. Use these PowerPoint slides for presentations relating to background, blog, business, chain, communication, connection, constructive, contact, design, diagonal, dialog, digital, flow, global, interaction, internet, line, linear, network, partner, pointer, reaction, social, stream, structure, system, team,. 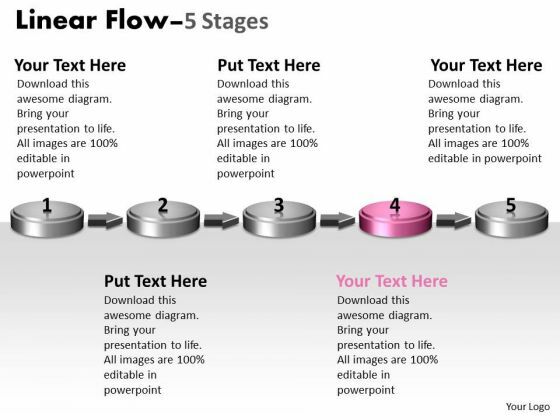 The prominent colors used in the PowerPoint template are Pink, Gray, and Black Form great presentations with our Ppt Background 3d Non-linear PowerPoint Flow Five Create Macro Diagram 5 Design. Try us out and see what a difference our templates make. The environment deserves constant attention. Keep an eye through our Ppt Background 3d Non-linear PowerPoint Flow Five Create Macro Diagram 5 Design. We present our PPT Background 6 phase diagram step by marketing strategy 7 design. Use our Arrows PowerPoint Templates because; educate your team and the attention you have paid. Use our Communication PowerPoint Templates because, to achieve sure shot success they need to come together at the right time, place and manner. Use our Shapes PowerPoint Templates because; enlighten them with your brilliant understanding of mental health. Use our Business PowerPoint Templates because, to go for Gold and not just silver. 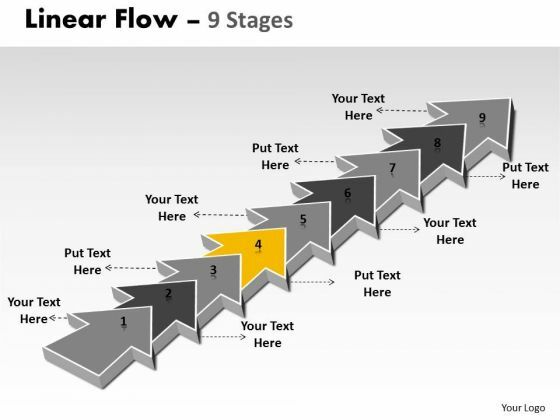 Use our Process and Flows PowerPoint Templates because, It is a step by step process with levels rising at every stage. Use these PowerPoint slides for presentations relating to background, blog, business, chain, communication, connection, constructive, contact, design, diagonal, dialog, digital, flow, global, interaction, internet, line, linear, network, partner, pointer, reaction, social, stream, structure, system, team,. The prominent colors used in the PowerPoint template are Green, Gray, and White Get the action going for you with our Ppt Background 6 Phase Diagram Step By Marketing Strategy 7 Design. Execute your plans to perfection. Maintain the continuity of your thoughts. Our Ppt Background 6 Phase Diagram Step By Marketing Strategy 7 Design will be the fillers. We present our PPT Background 6 phase diagram step by marketing strategy design. Use our Arrows PowerPoint Templates because, Its also been said that prevention is better than cure, either way you have a store of knowledge for sure. Use our Communication PowerPoint Templates because, it is in your DNA to analyses possible causes to the minutest detail. Use our Shapes PowerPoint Templates because, you have it all down to a nicety, slice by slice, layer by layer. Use our Business PowerPoint Templates because, illustrate your ideas one by one and demonstrate how each is an important cog in running the entire wheel. 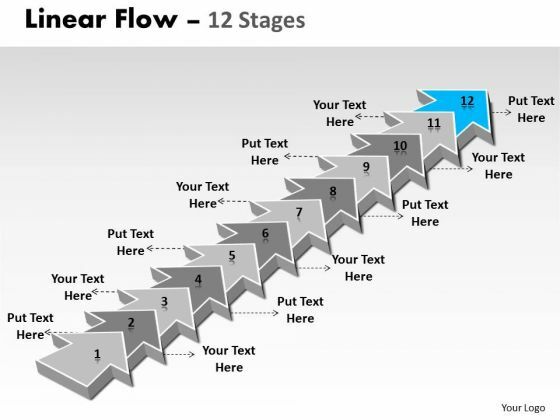 Use our Process and Flows PowerPoint Templates because; discuss each path to the smallest detail. Use these PowerPoint slides for presentations relating to background, blog, business, chain, communication, connection, constructive, contact, design, diagonal, dialog, digital, flow, global, interaction, internet, line, linear, network, partner, pointer, reaction, social, stream, structure, system, team,. The prominent colors used in the PowerPoint template are Blue, Gray, and White Realign your team with our Ppt Background 6 Phase Diagram Step By Marketing Strategy Design. Download without worries with our money back guaranteee. Beat failure with our Ppt Background 6 Phase Diagram Step By Marketing Strategy Design. You will come out on top. 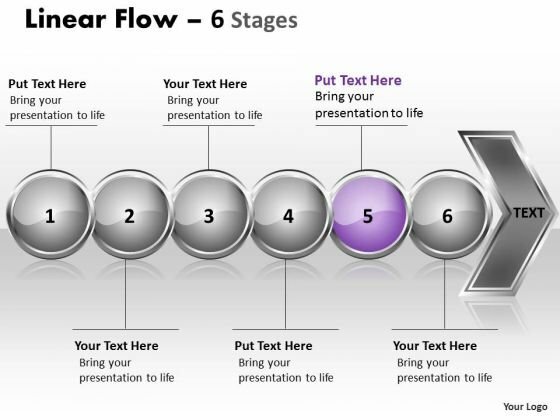 We present our PPT Background 6 stages step by marketing strategy custom plan PowerPoint 4 Graphic. Use our Arrows PowerPoint Templates because, Puzzles or Jigsaw Template:- It is all there in bits and pieces. Use our Communication PowerPoint Templates because, There are various viable propositions available to further your commercial interests. Use our Shapes PowerPoint Templates because; Watch their mental juices begin to flow. Use our Business PowerPoint Templates because, Master them all and you have it made. Use our Process and Flows PowerPoint Templates because, Pinpoint the critical paths and areas in your process and set the timelines for their completion. Use these PowerPoint slides for presentations relating to background, blog, business, chain, communication, connection, constructive, contact, design, diagonal, dialog, digital, flow, global, interaction, internet, line, linear, network, partner, pointer, reaction, social, stream, structure, system, team,. The prominent colors used in the PowerPoint template are Blue, Gray, and White Deliver success with our Ppt Background 6 Stages Step By Marketing Strategy Custom Plan PowerPoint 4 Graphic. Download without worries with our money back guaranteee. Prescribe changes with our Ppt Background 6 Stages Step By Marketing Strategy Custom Plan PowerPoint 4 Graphic. Download without worries with our money back guaranteee. 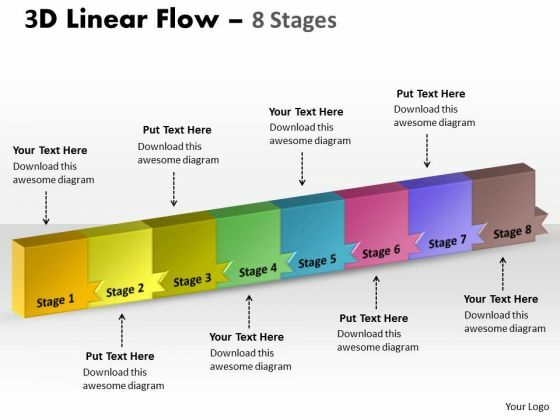 We present our PPT Background 9 stages linear means free fishbone diagram PowerPoint template 5 Graphic. Use our Arrows PowerPoint Templates because; Highlight the key components of your entire manufacturing/ business process. Use our Communication PowerPoint Templates because, Show how one can contribute to the overall feeling of wellbeing. Use our Shapes PowerPoint Templates because, your ideas are fundamentally stable with a broad base of workable possibilities. Use our Business PowerPoint Templates because; explain the contribution of each of the elements and how they provide impetus to the next phase. 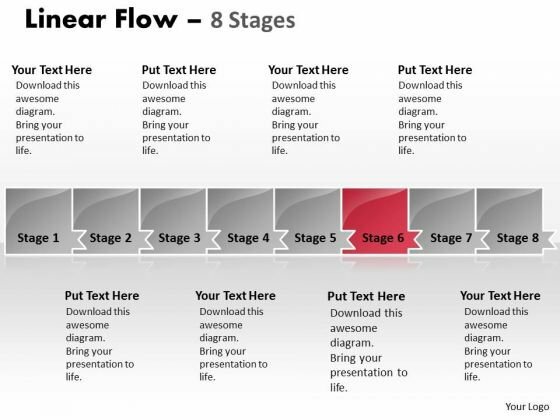 Use our Process and Flows PowerPoint Templates because, you have what it takes to grow. Use these PowerPoint slides for presentations relating to background, blog, business, chain, communication, connection, constructive, contact, design, diagonal, dialog, digital, flow, global, interaction, internet, line, linear, network, partner, pointer, reaction, social, stream, structure, system, team,. The prominent colors used in the PowerPoint template are Yellow, Gray, and White Catapult your thoughts with our Ppt Background 9 Stages Linear Means Free Fishbone Diagram PowerPoint Template 5 Graphic. They will travel a great distance. Our Ppt Background 9 Stages Linear Means Free Fishbone Diagram PowerPoint Template 5 Graphic team are great exponents of visual art. They have created some beauties for you. 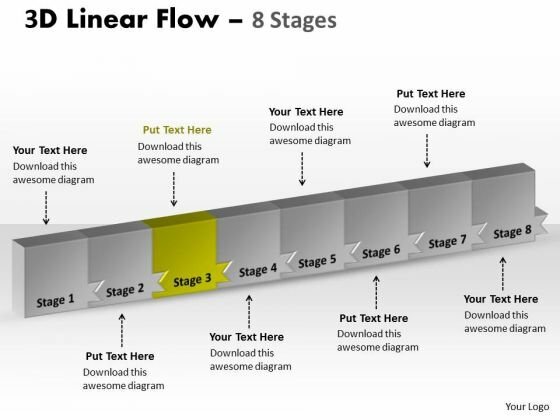 We present our PPT Background 9 stages linear means free fishbone diagram PowerPoint template 6 Graphic. Use our Arrows PowerPoint Templates because; motivate your team to cross all barriers. Use our Communication PowerPoint Templates because, our presentation designs are for those on the go. Use our Shapes PowerPoint Templates because, you have the plans ready for them to absorb and understand. Use our Business PowerPoint Templates because, Marketing Strategy Business Template: - Maximizing sales of your product is the intended destination. Use our Process and Flows PowerPoint Templates because, and watch them strengthen your companys sinews. Use these PowerPoint slides for presentations relating to background, blog, business, chain, communication, connection, constructive, contact, design, diagonal, dialog, digital, flow, global, interaction, internet, line, linear, network, partner, pointer, reaction, social, stream, structure, system, team,. 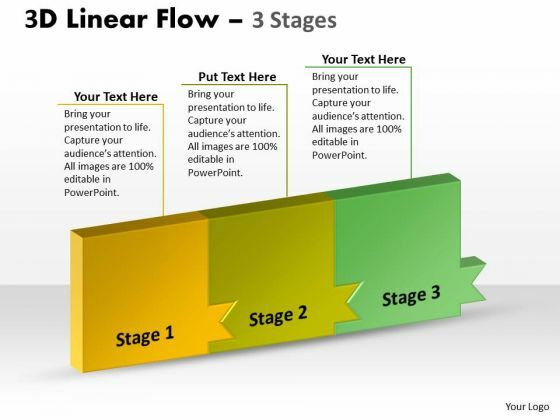 The prominent colors used in the PowerPoint template are Green, Gray, and White Use our Ppt Background 9 Stages Linear Means Free Fishbone Diagram PowerPoint Template 6 Graphic to meet deadlines. They are readymade to fit into any presentation structure. Cultivate the audience with our Ppt Background 9 Stages Linear Means Free Fishbone Diagram PowerPoint Template 6 Graphic. The bond between you will grow. We present our PPT Background 11 create PowerPoint macro straight line linear arrows process 7 Graphic. Use our Arrows PowerPoint Templates because, the goal also clearly etched in your mind. Use our Communication PowerPoint Templates because, Our Template designs are State of the Art. Use our Shapes PowerPoint Templates because; illustrate these thoughts with this slide. Use our Business PowerPoint Templates because, Marketing Strategy Business Template: - Maximizing sales of your product is the intended destination. Use our Process and Flows PowerPoint Templates because; Lay down the fundamentals to build upon. Use these PowerPoint slides for presentations relating to background, blog, business, chain, communication, connection, constructive, contact, design, diagonal, dialog, digital, flow, global, interaction, internet, line, linear, network, partner, pointer, reaction, social, stream, structure, system, team,. The prominent colors used in the PowerPoint template are Orange, Gray, and White Our Ppt Background 11 Create PowerPoint Macro Straight Line Linear Arrows Process 7 Graphic cosciously work to build your brand. They really make an earnest effort. Our Ppt Background 11 Create PowerPoint Macro Straight Line Linear Arrows Process 7 Graphic save time creating a mind blowing presentation. With our money back guarantee you have nothing to lose. We present our PPT Background 11 create PowerPoint macro straight line linear arrows process 8 Graphic. Use our Arrows PowerPoint Templates because; Lay down the fundamentals to build upon. Use our Communication PowerPoint Templates because; unravel the desired and essential elements of your overall strategy. Use our Shapes PowerPoint Templates because; Trigger their minds with your interesting ideas. Use our Business PowerPoint Templates because, you have configured your targets, identified your goals as per priority and importance. Use our Process and Flows PowerPoint Templates because, to your team you always raise a toast. Use these PowerPoint slides for presentations relating to background, blog, business, chain, communication, connection, constructive, contact, design, diagonal, dialog, digital, flow, global, interaction, internet, line, linear, network, partner, pointer, reaction, social, stream, structure, system, team,. The prominent colors used in the PowerPoint template are Brown, Gray, and White Develop your business aptitude with our Ppt Background 11 Create PowerPoint Macro Straight Line Linear Arrows Process 8 Graphic. Your creative abilities will flourish. Our Ppt Background 11 Create PowerPoint Macro Straight Line Linear Arrows Process 8 Graphic will exhibit your ability. Demonstrate your talent to one and all. 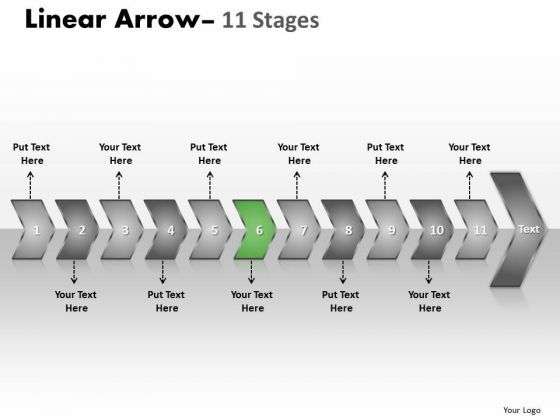 We present our PPT Background 11 steps straight line linear arrows PowerPoint 2010 Process 5 Image. 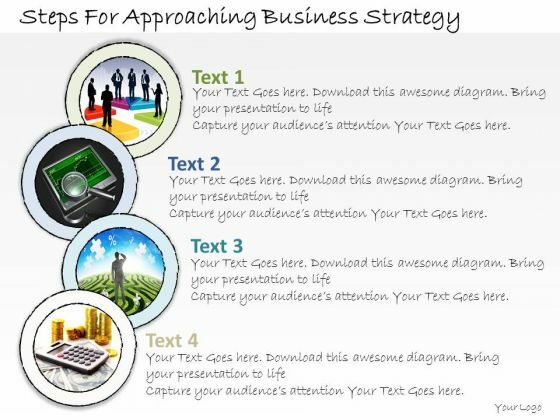 Use our Arrows PowerPoint Templates because; you have the basic goal in mind. Use our Communication PowerPoint Templates because; Refine them all as you take them through the numerous filtering stages of the funnel of your quality control process. Use our Shapes PowerPoint Templates because, The Venn graphic comprising interlinking circles geometrically demonstrate how various functions operating independently, to a large extent, are essentially interdependent. Use our Business PowerPoint Templates because, Vision Ave Future St Template: - There was a vision of a desired destination and the best road to take to reach that goal. Use our Process and Flows PowerPoint Templates because, Honesty is the best policy has an ardent follower in you. Use these PowerPoint slides for presentations relating to background, blog, business, chain, communication, connection, constructive, contact, design, diagonal, dialog, digital, flow, global, interaction, internet, line, linear, network, partner, pointer, reaction, social, stream, structure, system, team,. The prominent colors used in the PowerPoint template are Orange, Gray, and White Be expressive with our Ppt Background 11 Steps Straight Line Linear Arrows PowerPoint 2010 Process 5 Image. Bring in feeling to your thoughts. Our Ppt Background 11 Steps Straight Line Linear Arrows PowerPoint 2010 Process 5 Image have a glossy look. Your thoughts will also acquire a sheen. 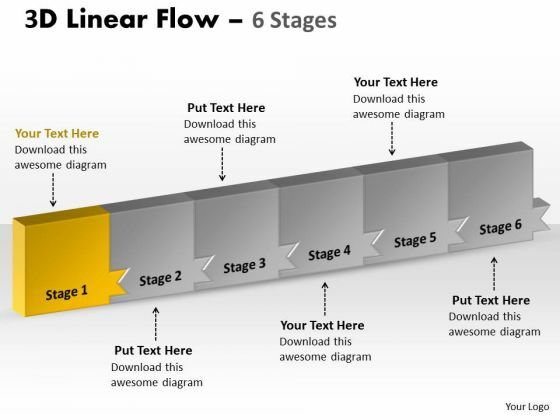 We present our PPT Background 11 steps straight line linear arrows PowerPoint slide text Process 10 Graphic. Use our Arrows PowerPoint Templates because; clearly delegate the different tasks along with their necessary resources and responsibilities. Use our Communication PowerPoint Templates because, Highlight your ideas broad- based on strong fundamentals and illustrate how they step by step achieve the set growth factor. Use our Shapes PowerPoint Templates because, you have the moves to sway the market. Use our Business PowerPoint Templates because, Marketing Strategy Business Template:- Maximizing sales of your product is the intended destination. 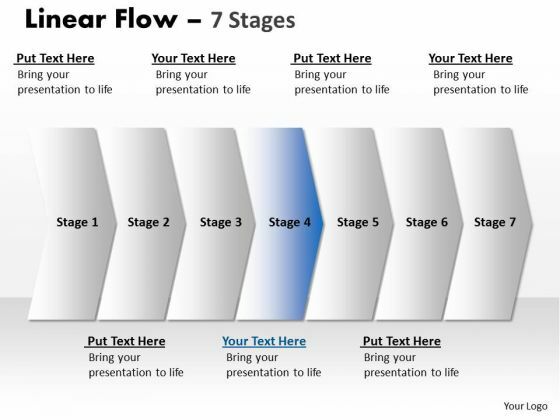 Use our Process and Flows PowerPoint Templates because, are the triggers of our growth. Use these PowerPoint slides for presentations relating to background, blog, business, chain, communication, connection, constructive, contact, design, diagonal, dialog, digital, flow, global, interaction, internet, line, linear, network, partner, pointer, reaction, social, stream, structure, system, team,. The prominent colors used in the PowerPoint template are Brown, Gray, and White Amuse your audience with our Ppt Background 11 Steps Straight Line Linear Arrows PowerPoint Slide Text Process 10 Graphic. Just download, type and present. List your core competencies with our Ppt Background 11 Steps Straight Line Linear Arrows PowerPoint Slide Text Process 10 Graphic. They will make you look good. We present our PPT Background 12 stages linear 3d arrows PowerPoint to create big business plan 13 Image. Use our Arrows PowerPoint Templates because, your brain is always churning out ideas like cogs in a wheel. Use our Communication PowerPoint Templates because, to achieve sure shot success they need to come together at the right time, place and manner. Use our Shapes PowerPoint Templates because, you are buzzing with ideas. Use our Business PowerPoint Templates because, Weak Links & Chains: - Chain reactions and the element of teamwork add value to your efforts. Use our Process and Flows PowerPoint Templates because; Use our template to illustrate what you say. Use these PowerPoint slides for presentations relating to background, blog, business, chain, communication, connection, constructive, contact, design, diagonal, dialog, digital, flow, global, interaction, internet, line, linear, network, partner, pointer, reaction, social, stream, structure, system, team,. The prominent colors used in the PowerPoint template are Blue, Gray, and White Even out the odds with our Ppt Background 12 Stages Linear 3d Arrows PowerPoint To Create Big Business Plan 13 Image. Make a fair assessment of the probabilities. 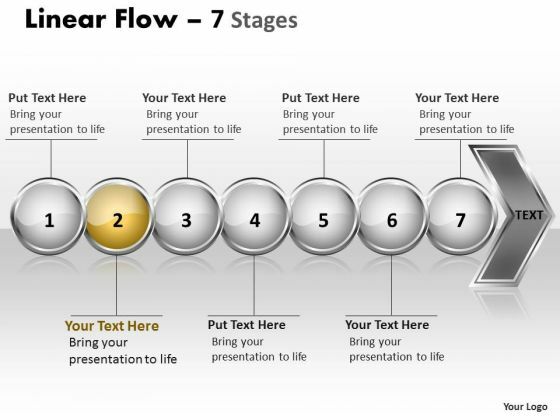 Tickle their brains with our Ppt Background 12 Stages Linear 3d Arrows PowerPoint To Create Big Business Plan 13 Image. They will find you an entertaining speaker. 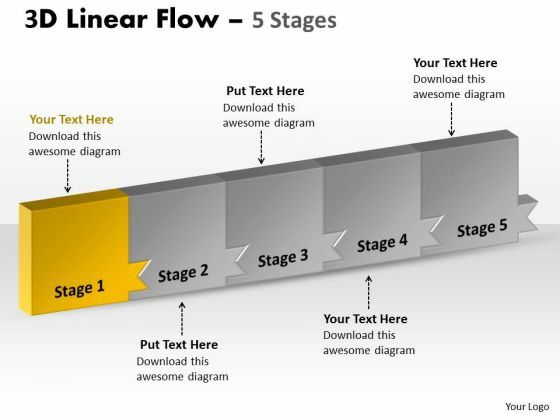 We present our PPT Background 12 stages linear 3d arrows PowerPoint to create transactions plan 4 Graphic. Use our Arrows PowerPoint Templates because, Cycle Template: - Rolling along while gathering profits along the way is the aim. Use our Communication PowerPoint Templates because; explain your strategy to co-ordinate activities of these separate groups. Use our Shapes PowerPoint Templates because, There are a bucketful of brilliant ideas swirling around within your group. Use our Business PowerPoint Templates because, Amplify on your views and plans for getting ahead and then the manner in which you intend staying ahead. Use our Process and Flows PowerPoint Templates because, Business Template: - There is a vision, a need you can meet. Use these PowerPoint slides for presentations relating to background, blog, business, chain, communication, connection, constructive, contact, design, diagonal, dialog, digital, flow, global, interaction, internet, line, linear, network, partner, pointer, reaction, social, stream, structure, system, team,. 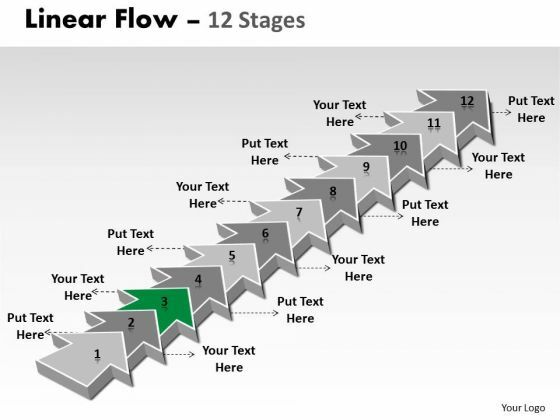 The prominent colors used in the PowerPoint template are Green, Gray, and White Our Ppt Background 12 Stages Linear 3d Arrows PowerPoint To Create Transactions Plan 4 Graphic are created with professional insight. Use them and give your group a a winning vision. 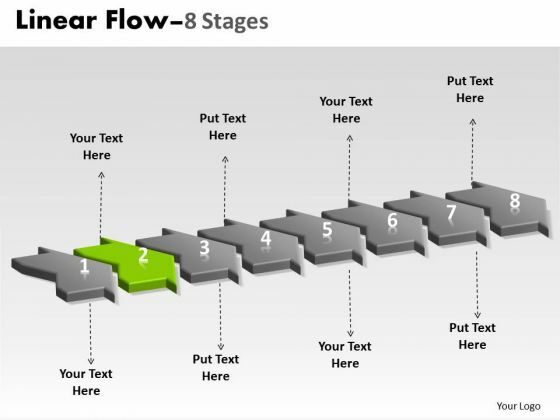 Our Ppt Background 12 Stages Linear 3d Arrows PowerPoint To Create Transactions Plan 4 Graphic are empowering agents. Your thoughts will create the correct chemistry. We present our PPT Background continuous way to show 3 Steps workflow operations management PowerPoint 1 Image. Use our Arrows PowerPoint Templates because; demonstrate how you think out of the box. Use our Shapes PowerPoint Templates because, Business ethics is an essential element in your growth. Use our Finance PowerPoint Templates because, Business ethics is an essential element in your growth. Use our Business PowerPoint Templates because; Use our templates for your colleagues knowledge to feed. 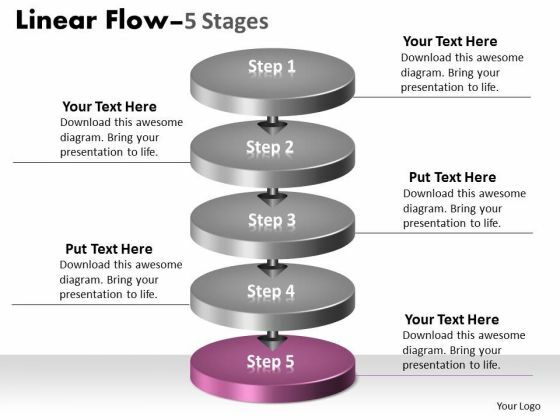 Use our Process and Flows PowerPoint Templates because, Knowledge is power goes the popular saying. Use these PowerPoint slides for presentations relating to background, blog, business, chain, communication, connection, constructive, contact, design, diagonal, dialog, digital, flow, global, interaction, internet, line, linear, network, partner, pointer, reaction, social, stream, structure, system, team,. The prominent colors used in the PowerPoint template are Yellow, Green, and Black Arrive at conclusions with our Ppt Background Continous Way To Show 3 Steps Workflow Operations Management PowerPoint 1 Image. You will come out on top. Get on the boat with our Ppt Background Continous Way To Show 3 Steps Workflow Operations Management PowerPoint 1 Image. Get your views ferried across. We present our PPT Background continual linear production PowerPoint theme procedure 7 Graphic. Use our Arrows PowerPoint Templates because, There are so many different pieces to the puzzle. Use our Signs PowerPoint Templates because, they are logical, accurate and to the point. Use our Business PowerPoint Templates because, you have analyzed the illness and know the need. Use our Shapes PowerPoint Templates because; Use this template containing to highlight the key issues of your presentation. Use our Process and Flows PowerPoint Templates because, our template will help pinpoint their viability. Use these PowerPoint slides for presentations relating to background, blog, business, chain, communication, connection, constructive, contact, design, diagonal, dialog, digital, flow, global, interaction, internet, line, linear, network, partner, pointer, reaction, social, stream, structure, system, team,. The prominent colors used in the PowerPoint template are Green, Gray, and Black Exhibit your faith on our Ppt Background Continual Linear Production PowerPoint Theme Procedure 7 Graphic. Your audience will believe in you. Performance evaluation is easier with our Ppt Background Continual Linear Production PowerPoint Theme Procedure 7 Graphic. They help you assess results accurately. 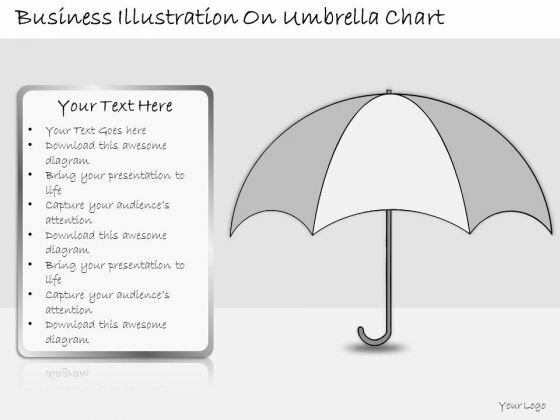 Get The Domestics Right With Our PPT Slide business illustration umbrella chart strategic planning Powerpoint Templates. Create The Base For Thoughts To Grow. Do Away With Dogmatic Approaches. Establish The Value Of Reason With Our Business Plan Powerpoint Templates. Double Your Chances With Our PPT Slide design for business presentation strategic planning Powerpoint Templates. The Value Of Your Thoughts Will Increase Two-Fold. Charm The Audience With Your Thoughts. Add Our Business Plan Powerpoint Templates And They Will Be Dotty For You. Use Our PPT Slide steps for approaching business strategy consulting firms Powerpoint Templates As The Bit. Drill Your Thoughts Into Their Minds. Pop The Cork With Our Business Plan Powerpoint Templates. Let Your Audience Take In The Aroma Of Your Thoughts. However Dry Your Topic Maybe. 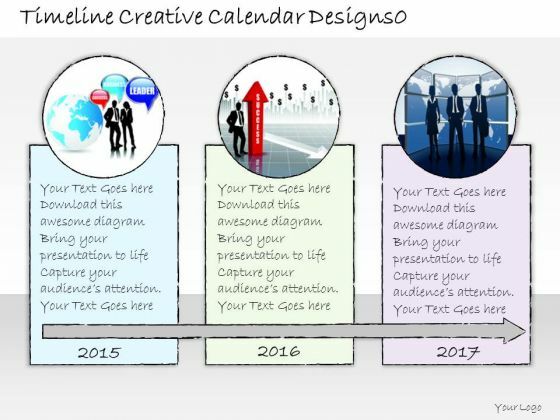 Make It Catchy With Our PPT Slide timeline creative calendar designs0 business diagrams Powerpoint Templates. Drum Up A Beat With Our Business Plan Powerpoint Templates. You Will Have Their Minds Keeping Time. 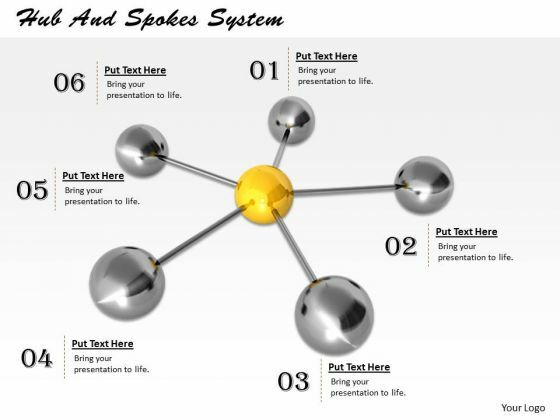 Touch Base With Our stock photo Hub And Spokes System powerpoint template Powerpoint Templates. Review Your Growth With Your Audience. Take A Deep Dive With Our communication Powerpoint Templates. Get Into The Nitti Gritty Of It All. This is a analyze new revenue streams ppt powerpoint presentation outline picture. This is a five stage process. 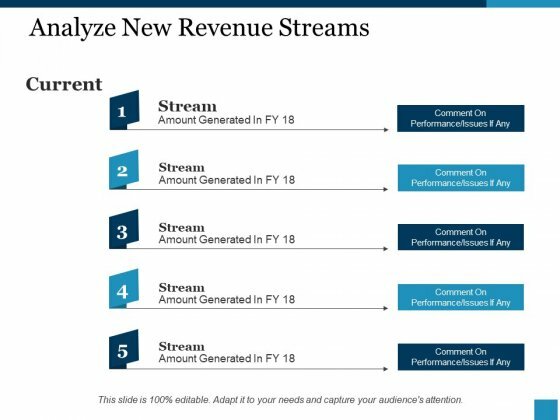 The stages in this process are stream, current, amount generated, comment on performance. Take all factors into account. Take a cue from our Analyze New Revenue Streams Ppt PowerPoint Presentation Outline Picture.